If you’re looking for an all-in-one eating and utility tool for camping, the Case Knives Hobo Knife will be right up your alley. 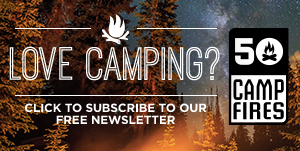 The Hobo Knife is functional, stylish and fun to use for all campers or hiking enthusiasts. 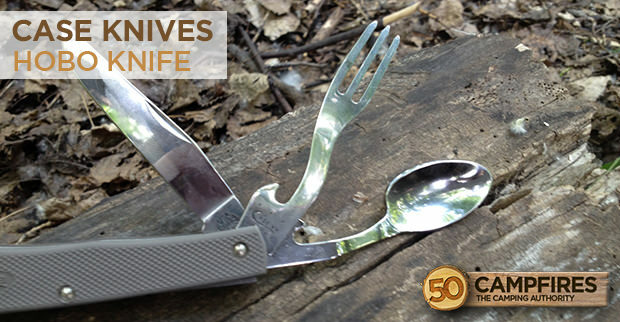 Appearance: When we first looked at the Hobo Knife, we thought “well it looks like your average folding knife,” except for the spoon on the side! 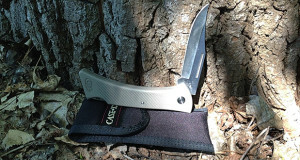 With a very grippable Zytel handle the Case Knives Hobo Knife feels good in your hand. Each piece – the spoon, knife and fork, easily open from the knife and from there just pull down and each piece will detach separately. 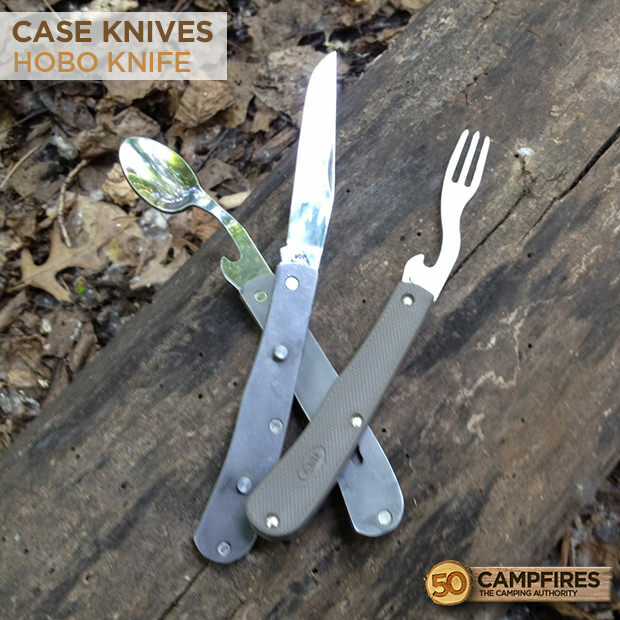 Functionality: With so many moving parts the Case Knives Hobo Knife works flawlessly. 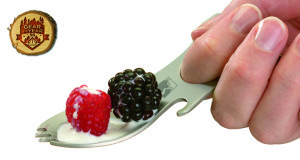 Having a knife, spoon and fork that separate allows you to easily use them for eating. 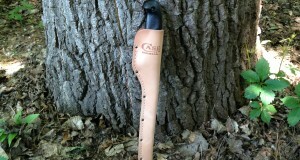 The fork is pretty small but if you’re out in the woods, just having a utensil will be a plus. There are a few similar knives out there but we’ve found most do not detach from the body of the knife, which causes a gap in functionality. 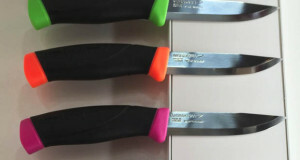 Each part of the knife releases easily and is not tight to try and open up. 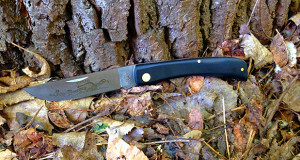 Ease Of Use: It doesn’t get much easier to use than the Hobo Knife. 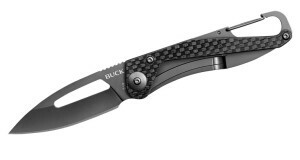 The simplicity of the knife plays in its favor by allowing anyone who picks it up to use and see the functionality. Being able to open the 3 utensils, separate them and chow down in a matter of 30 seconds is a pretty sweet feature. 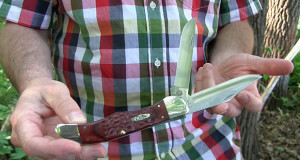 Durability: Well, it’s a Case Knife – you know the quality is there. 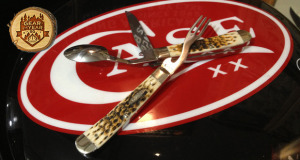 Hand made out of some of the highest quality steel the knife, spoon and fork feel indestructible. 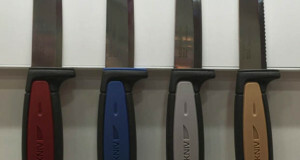 Value: Although Case Knives are usually a little more spendy than others, there is a reason. 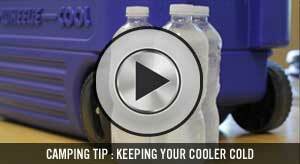 You just can’t beat the quality and craftsmanship. 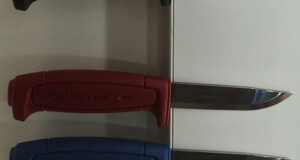 With the Case Knives Hobo Knife you really are getting a steal of a deal with a great knife for all around work, a spoon and a fork to eat with while camping.